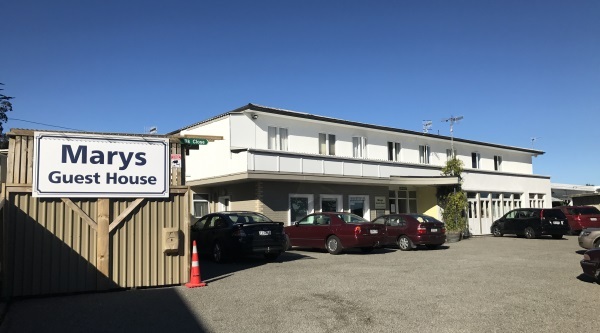 Mary’s Guest House has the perfect location in the hub of the Paraparaumu community. Only three minutes walk to the rail and bus station and another two minutes walk to the Coastlands shopping mall. If you think it’s important to have a place to call home where other single, self-sufficient, mature residents look out for each other, contact us. All rooms have great security, are clean, organised, well maintained and fully furnished with rent that includes all outgoings including unlimited fibre internet (Wi-Fi included), power, water, gas, rubbish collection, laundry facilities & local telephone. Rooms start from $230 per week (including utilities i.e. water, power gas, rubbish collection & gigabit fibre internet + Wi-Fi).